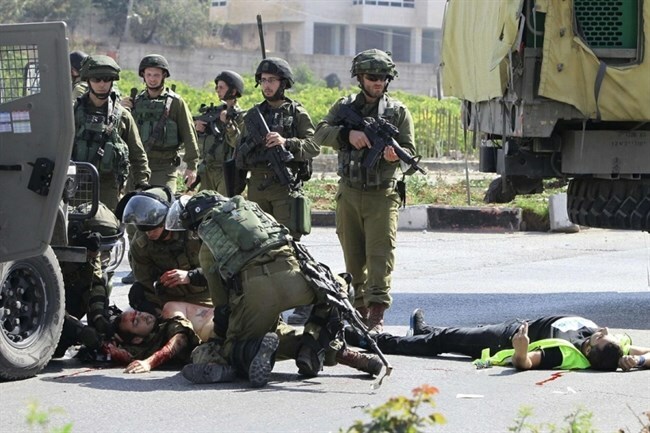 In its Weekly Report On Israeli Human Rights Violations in the Occupied Palestinian Territories for the week of 21– 27 April 2016, the Palestinian Center for Human Rights (PCHR) found that Israeli forces continued to use excessive force in the Occupied Palestinian Territories. A Palestinian woman and her brother were killed at Qalandia military checkpoints, north of occupied Jerusalem. Four Palestinian civilians, including 2 children and a photojournalist, were wounded in the West Bank and Gaza Strip. During the reporting period, Israeli forces conducted at least 56 military incursions into Palestinian communities in the West Bank and 6 in occupied East Jerusalem and its suburbs. Also during the reporting period, Israeli forces killed a Palestinian woman and her brother at Qalandia checkpoint, north of occupied Jerusalem, and wounded 3 others in the West Bank, including a child and photojournalist. In the West Bank,in a new crime of using lethal force, on 27 April 2016, Israeli forces stationed at Qalandia military checkpoint, north of occupied Jerusalem, opened fire at killed Maram Saleh Abu Ismail (23) and her brother Ibrahim (16). The 2 siblings were left bleeding to death at the checkpoint, as Israeli soldiers denied the Palestine Red Crescent Society’s (PRCS) crews access to the scene. Israeli forces claimed that the siblings attempted to carry out a stabbing against two Israeli soldiers after the former took the vehicles’ track, which is mainly used to check the drivers’ IDs, although they were warned. Eyewitnesses said that the warning took few seconds only and the 2 siblings seemed to be ignorant about the track they should have taken. It should be noted that Maram and Ibrahim are from Qatannah village, northwest of occupied Jerusalem, but Maram was married and had 2 girls and used to live in Beit Soreek village. In the context of using force against peaceful protests, 3 civilians, including a child and a photojournalist, were wounded. The child sustained a bullet wound to the left hand during a peaceful protest in QuforQaddoum village, northeast of Qalqilya on 22 April 2016. Moreover, a 20-year-old male sustained a bullet wound to the right hand during a protest in the same village on 23 April 2016. On 26 April 2016,Sa’ed al-Hawari, Reuters’ cameraman, was hit with a tear gas canister to the chest while covering a protest organized against the arrest of Omer Nazzal, member of the General Secretariat of the Journalists Union, on front of Ofer Prison, southwest of Ramallah. Israeli forces conducted 56incursions into Palestinian communities in the West Bank. 44 civilians, including 5 children and awoman, were abducted. 34 of them, including 3 children and a woman, were abducted in occupied Jerusalem. 600-gram jewellery, NIS 1,500 and JD 150 were confiscated from a house in Beit Ommer village. Dozens of temporary checkpoints were established in the West Bank and others were re-established to obstruct the movement of Palestinian civilians. 3 Palestinian civilians, including photojournalist Omer Nazzal, were abducted at military checkpoints in the West Bank. In the Gaza Strip,concerning force employed against Palestinian civilians participating in protests against Israeli forces in the vicinity of the annexation wall between the Gaza Strip and Israel, a child sustained bullet shrapnel wounds to the legs on 22 April 2016. The child was then transported to Shifa Hospital in Gaza City to receive the necessary medical treatment. His wounds were minor. As part of Israeli attacks on fishermen in the Gaza Strip Sea, on 24 April 2016, Israeli gunboats opened fire at Palestinian fishing boats sailing offal-Waha shore, northwest of Beit Lahia village, north of the Gaza Strip. A gunboat approached a fishing boat sailing within 3 nautical miles and manned by Uranus al-Sultan (19) and Ibrahim al-Sultan (23), both from al-Salateen neighbourhood in Beit Lahia village. Israeli officers abducted both of them and took them to an unknown destination. In the Gaza Strip, on 27 April 2016, Israeli forces moved about 100 meters to the west of the border fence, east of al-Bureij refugee camp, in the central Gaza Strip. They levelled lands and withdrew later. On 21 April 2016, Israeli forces stationed at the border fence, east of Beit Hanoun, north of the Gaza Strip, abducted Azmi al-Massri (26) after he sneaked through the border fence. He was been in detention since then. Settlement activities continued in the West Bank. Settlers stormed the Al-Aqsa Mosque in Jerusalem, and threw stones at a bus in the east of Qalqilya, due to which one of the bus’ windows was smashed. In the context of house demolitions, on 22April 2016, Israeli municipal crews moved into Silwan village, south of East Jerusalem. They distributed demolition notices to a number of residential and commercial facilities. Regarding settler attacks in al-Aqsa Mosque, on 24 April 2016, in coincidence with the Jewish Passover holiday, 115 settlers stormed al-Aqsa Mosque via al-Maghariba Gate under the protection of Israeli special forces. The settlers’ raids recurred during the Passover holiday, as 532 settlers stormed al-Aqsa Mosque in 3 days via al-Maghariba Gate, whose keys were seized by the Israeli authorities since the occupation of Jerusalem. At approximately 20:00 on Saturday, 23 April 2016, a group of settlers from “Emanuel” settlement, east of Qalqilya, gathered on a hill overlooking the main street adjacent to the settlement. They threw stones at Palestinian vehicles, as a result, a bus was hit with the stones. On 26 April 2016, a group of settlers from settlements established in the east of Yatta, south of Hebron, raided al-Baraka archaeological site, west of the city. They performed their rituals there and swam in the archaeological pool to celebrate their Passover holiday. Israeli forces continued their efforts to create Jewish majority in occupied East Jerusalem. The Israeli municipality issued dozens of demolition notices for houses in Silwan village. Israeli forces have continued to use excessive force against Palestinian civilians participating in peaceful protests in the West Bank and Gaza Strip, the majority of whom were youngsters. Following the Friday prayer, on 22 April 2016, dozens of Palestinian civilians organized protests against the Israeli policies in the Occupied Palestinian Territories at the western entrance to Silwad village, northeast of Ramallah, in the vicinity of “Ofer” prison,southwest of the city, and at the southern entrance to al-Jalazoun refugee camp, north of the city. Israeli forces used force to disperse the protestors by firing live bullets, rubber-coated metal bullets, tear gas canisters and sound bombs. As a result, many civilians suffered tear gas inhalation and others sustained bruises as Israeli soldiers beat them up. At approximately 12:50, on Friday, 22 April 2016,Palestinian civilians and Israeli and international human rights defenders organized a protest in the center of KuforQaddoum village, northeast of Qalqiliya, and then made their way to the eastern entrance to the village in protest against closing that entrance since the beginning of al-Aqsa Intifada with an iron gate. When the protesters approached the entrance, Israeli forces fired live bullets, rubber-coated metal bullets, tear gas canisters and sound bombs at them. As a result, many civilians suffered tear gas inhalation, while another child (15) was hit with a rubber-coated metal bullet to the left hand. Following the Friday prayer, dozens of Palestinians and Israeli and international human rights defenders organised protests against the annexation wall and settlement activities in Bil’in and Nil’in villages, west of Ramallah and al-Nabi Saleh village, northwest of city. Israeli forces used force to disperse the protesters by firing live bullets, metal bullets, tear gas canisters and sound bombs and chased the protesters into the olive fields and between houses. As a result, many civilians suffered tear gas inhalation and others sustained bruises as Israeli soldiers beat them up. At approximately 18:00, on Saturday, 23 April 2015, Palestinian civilians and Israeli and international human rights defenders organized a protest in the center of KuforQaddoum village, northeast of Qalqiliya, and then made their way to the eastern entrance of the village in protest against closing that entrance since the beginning of al-Aqsa Intifada with an iron gate. When the protesters approached the entrance, Israeli forces fired live bullets, rubber-coated metal bullets, tear gas canisters and sound bombs at them. As a result, many civilians suffered tear gas inhalation, while one 20-year-old young man was hit with a rubber-coated metal bullet to the right hand. At approximately 14:30, on Friday, 22 April 2016, Israeli forces stationed at Beit Hanoun “Erez” crossing, northwest of Beit Hanoun, north of the Gaza Strip, fired live bullets, rubber-coated metal bullets and tear gas canisters at dozens of Palestinian civilians, who were on the road between the Palestinian and Israeli sides of the crossing. The protesters threw stones at the soldiers in protest at the Israeli violations against Palestinian civilians in the West Bank and Gaza Strip. The clashes continued until 20:30. As a result, 2 civilians suffered tear gas inhalation and were treated in the spot. At approximately 15:00, on Friday, dozens of Palestinian civilians headed to the border fence between the Gaza Strip and Israel, east of al-Shuja’iya neighbourhood, east of Gaza City. The protesters threw stones at Israeli soldiers stationed along the fence. Israeli soldiers stationed behind the sand barriers opened fire at the protesters in response. As a result, Ahmed FayizSarhan al-Jedi (16), from al-Shuja’iya neighbourhood, sustained shrapnel wounds to the legs and was then taken to al-Shifa Hospital in Gaza City to receive medical treatment. Medical sources there classified his wounds as minor. In addition, PCHR calls upon the UN General Assembly to transfer the Goldstone Report to the UN Security Council in order to refer it to the International Criminal Court in accordance with Article 13(b) of the Rome Statute. The Palestinian Center for Human Rights (PCHR) published a new report as part of the series of the monthly “Closure Reports” addressing the latest developments of the state of the Gaza Strip border crossings in March 2016. The report documents the impact of the ongoing Israel-imposed siege on Palestinian civilians, which affects their economic and social conditions. It also refutes Israel’s claims that it has eased the closure of the Gaza Strip for the ninth consecutive year. 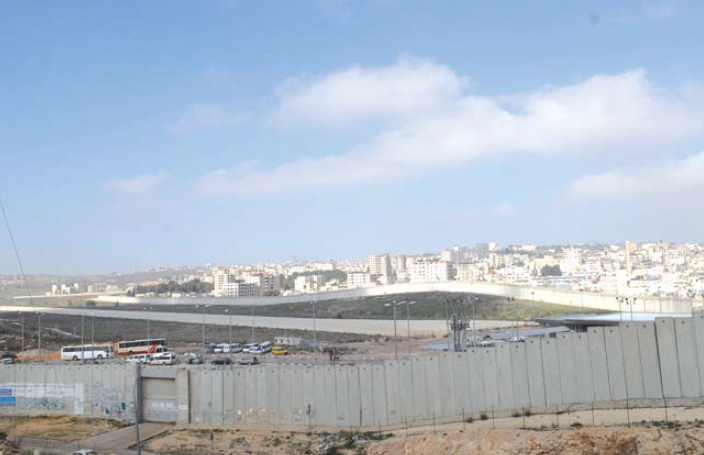 Furthermore, the report highlights that the continuing Israeli measures aim at the institutionalization of the closure and making the illegal restrictions imposed on the movement of persons and goods acceptable on the international level although they violate the international law, including the international humanitarian and human rights laws. During the reporting period, the number of truckloads that were allowed to enter the Gaza Strip increased; however, no remarkable change was witnessed on the commercial level. Israeli forces allowed the entry of 17,241 truckloads, the majority of which were foodstuffs and consumables; an average of 556 truckload daily. Restrictions were also imposed on the entry of a number of basic goods, especially materials needed for Gaza reconstruction, infrastructure projects and materials for manufacturing and production. Moreover, many obstacles were imposed on the entry of imports, including the frequent closure of the only commercial crossing in the Gaza Strip, Karm Abu Salem (Kerem Shalom); the crossing was closed for 9 days (29% of the total period). In a later step, Israeli forces prevented the entry of construction materials for the private sector in Gaza city. As a result, hundreds of private under-construction housing projects stopped in addition to other Reconstruction projects carried out by the private sector for the same reason. Stopping construction works in these projects will aggravate the suffering of civilians who are desperate need of building their houses and facilities. This will also inflict heavy losses on the private sector’s companies due to stoppage of work and increase the already high unemployment and poverty rates among the workers and their families. Concerning the exports, Israeli forces continued to impose a ban on the Gaza Strip exports to the West Bank, Israel and abroad with the exception of limited quantities. During the reporting period, 100 truckloads were allowed for exportation to the West Bank, including 87 truckloads of agricultural products, a truckload of fish, 4 truckloads of furniture, 3 truckloads of cloths and 5 truckloads of scrap. The rate of the Gaza Strip exports for March constitutes 2.2% of the exports before June 2007. As for the movement of persons, the Gaza Strip population has been denied their right to the freedom of movement and has been suffering due to obstacles imposed on their movement at all border crossings that connect the Strip with the West Bank and Israel. Moreover, during the reporting period, Israeli forces imposed severe restrictions on the movement of Gaza population at Beit Hanoun (Erez) crossing, the only crossing for the movement of persons to the West Bank, including Jerusalem, and/or Israel. As a result, 2 million people have been denied their right to the freedom of movement. A limited number of Palestinians were allowed to travel via the crossing: 1,440 patients, 1,330 patient companions. Furthermore, Israeli forces arrested 3 patients who were on their back from hospitals in which they were transformed to receive treatment. Those patients suffer from serious diseases and could not found a cure in the Gaza Strip hospitals. Israeli forces also allowed 8,477 businesspeople, 828 persons for personal needs, 755 workers of international humanitarian organizations, 204 persons travelling via al-Karama crossing, 595 elderly people to perform prayers in al-Aqsa Mosque and 415 Christians to travel via Beit Hanoun (Erez) crossing under very complicated procedures resulting in prolonged waiting periods, sometimes up to several days. It should be noted that these statistics do not express the number of people allowed to travel as the number permit holders is far less than the passing times. The permit holder is allowed to travel more than one time via the Beit Hanoun crossing. Israeli authorities also allowed 595 elderly persons to cross the crossing for performing the Friday prayer in al-Aqsa Mosque in addition to 415 Christians in light of complicated security measures. During the reporting period, Rafah International Crossing Point was closed during March for 31 days. This unveiled the reality of the situation in the Gaza Strip under the policy of collective punishment and the Israeli closure imposed over all border crossings, especially Beit Hanoun crossing. The number of Palestinians, who registered for traveling via the crossing and are waiting for their turn to travel, was over 25,000, in addition to thousands of Palestinians who want to travel but did not registered for traveling according to the Ministry of Interior in Gaza. In the report’s recommendations, PCHR called upon the international community, particularly the High Contracting Parties to the Fourth Geneva Convention Relative to the Protection of Civilian Persons in Time of War, to immediately intervene to compel Israeli authorities to open the Gaza Strip crossings and put an end to the grave deterioration of humanitarian situation in the Gaza Strip. The United Health Works Committee (UHRC), in occupied Palestine, has reported Friday that Israel is holding captive 1700 ailing detainees, including 25 who suffer from various types of cancer, and are in urgent need of specialized medical care. 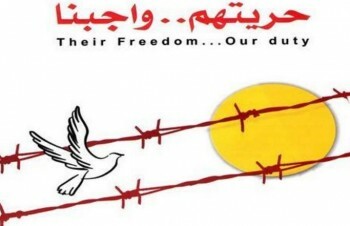 The statement came in preparation for April 17, the Palestinian Prisoners’ Day, and revealed that the Israeli authorities are not providing the detainees with the needed medical treatment, and largely just give them painkilling pills, in addition to denying them the right to specialized treatment. The UHRC urged the international community, and all related local, regional and international human right groups to intervene, and “to save the ailing detainees from the slow death they are facing”, as the Israeli Prison Authority denies them the basic right of access to specialized medical treatment. It also called for heading to various international health, legal and human rights groups, to expose the serious Israeli violations against the detainees, and to Israel’s compliance with International Law, and all human rights treaties. Israel is holding captive at least 7000 Palestinians in 22 prisons, detention and interrogation centers, including seven detainees who have been imprisoned since more than 30 years. Among the detainees are 67 women, 400 children, 6 elected legislators and ministers, and 700 Palestinians who are held under arbitrary Administrative Detention orders, without charges or trial. The US has accused Israel of an "excessive use of force" against Palestinians, amounting to a violation of human rights, in its annual report of global human rights abuses. The US Country Reports on Human Rights Practices for 2015 published Thursday highlighted numerous allegations of Israeli rights abuses, including the arbitrary arrest and torture of Palestinians, as well as restrictions on their freedom of movement and speech. But most significant was the report's focus on Israel's excessive use of force, which follows months of similar allegations by local and international NGOs, as well as senior UN officials and foreign leaders, including, earlier this year, a group of prominent US congressmen. The US report said that through the final months of 2015, after a wave of unrest swept the occupied Palestinian territory in October, Israeli forces killed 127 Palestinians, of whom 77 were allegedly attacking Israelis. "In a number of these incidents, there were reports of human rights abuses related to actions by Israeli authorities," the report said. "NGOs published multiple reports alleging that Israeli security forces committed unlawful killings." It pointed in particular to a report by Amnesty International (AI) late in October that documented at least four incidents of Palestinians who were shot dead when they posed no imminent threat to life. These included 18-year-old Hadeel Hashlamon who was shot dead at a Hebron checkpoint in September. The US report said: "Pictures of the standoff that led to her death and accounts by eyewitnesses that AI interviewed showed that she at no time posed a sufficient threat to the soldiers to justify their use of deliberate lethal force." It also mentioned Abdullah Shalaldah, 28, who was shot dead when Israeli forces stormed al-Ahli Hospital in Hebron in order to detain his cousin. "While the IDF released a statement that Abdullah Shalaldah tried to attack them, witnesses reported to AI that he was unarmed, was standing some distance away, and had not attempted to attack them," the report said. The Israeli army's excessive use of force has come under the spotlight in recent weeks after an Israeli soldier's gruesome killing of a wounded Palestinian was captured on camera in Hebron last month. The killing was branded an "extrajudicial execution" by UN officials, while international rights groups and the Palestinian leadership stressed it was not an isolated incident but representative of routine Israeli army practice. Shortly afterward, a letter was made public that had been sent in February by a group of 10 senior US congressmen to US Secretary of State John Kerry suggesting that US military assistance to Israel should be suspended if reports of Israeli rights violations, including "extrajudicial killings," should be proven true. The US human rights report for the occupied Palestinian territory highlighted a range of other potential rights abuses by Israel, including the "arbitrary arrest" of Palestinians including children, their "austere and overcrowded detention facilities," and "improper detention procedures." It pointed also to the "demolition and confiscation of Palestinian property; limitations on freedom of expression, assembly, and association; and severe restrictions on Palestinians' internal and external freedom of movement." Looking beyond Israel, the report also detailed a wide range of human rights violations by the Palestinian Authority in the occupied West Bank and Hamas in the Gaza Strip. The report pointed to the PA's mistreatment of detainees, restrictions on freedom of speech, widespread corruption, violence against women, as well as issues of discrimination based on sexual orientation and disability. Among other issues noted were child labor and forced labor. In Gaza, meanwhile, the report said that "human rights abuses under Hamas included security forces killing, torturing, arbitrarily detaining, and harassing opponents, including Fatah members, and other Palestinians with impunity." It also discussed Hamas' restrictions on the freedom of speech and movement, as well as the abuse of women and children and similar discriminations to those seen in the West Bank. In recent years, the Palestinian leadership has stepped up efforts dramatically to apply international pressure on Israel to end its nearly 50-year military occupation. Last month, it asked the UN to investigate allegations of extrajudicial killings, and the International Criminal Court is currently conducting a preliminary probe into the possibility of Israeli war crimes against Palestinians. At the same time, however, the PA has used increasingly brutal means to maintain its own position among a disaffected population, detaining political opponents and preventing mass demonstrations. Many Palestinians accuse the government of working too closely with Israel. This year marks the 40th anniversary of the US Country Reports on Human Rights Practices, which is intended to help determine the allocation of US foreign aid. However, while the report has recorded Israeli human rights violations for decades, the US has continued to provide more than $3 billion in military assistance to Israel every year. In their letter to Kerry published last month, the group of 10 congressmen suggested that "a unique situation" created since the Camp David Accords had "hindered" the usual mechanisms in determining the provision of US military assistance and monitoring its use.